Beginning February 23, 2019, Reactive will be on display at at Falls Church Arts in Falls Church, VA.
An Opening Reception will be held in the evening of February 23, 2019. 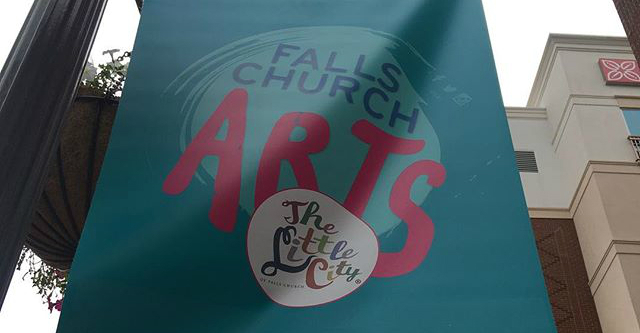 Falls Church Arts is a non-profit organization established in 2003 that serves the Washington, D.C. Metropolitan area, dedicated to making the arts a vital and integral part of the community and to celebrating the creative energies of its artists and supporting members. Falls Church Arts is located at 700-B W. Broad St., Falls Church, VA 22046. On February 23, 2019 from 7:30-10:00pm, an Opening Reception will be held for the new exhibit at the Falls Church Arts Gallery, featuring Reactive. No tickets or RSVPs are necessary. All attendance is free of charge. Parking is available nearby. The Falls Church Arts Gallery is located at 700-B W. Broad St., Falls Church, VA 22046. Persistence (2018) is featured in Regular Style, a juried exhibit from the School of Art at the University of Montana. This juried exhibit features work from national and international graduate students working within the studio arts, aiming to reflect upon the shared experience amongst artists across various the schools and universities. On Saturday November 10, 2018 from 6pm to 8pm, J'han will be participating in an Open Studios Night at American University. Over the course of the evening, J'han and all the students in the MFA Studio Art program will be welcoming any and all visitors into their studios to see some of their work, what they're currently working on, and their creative workspace. This intimate experience provides a glimpse into how J'han and her fellow graduate students create their artwork, along with an opportunity for each artist to answer questions. No tickets or RSVPs are necessary. All attendance is free of charge. The event will be held on the second floor of the Katzen Arts Center at American University, located at 4400 Massachusetts Ave NW, Washington, D.C. 20016. On-site parking in the garage will be available. Beginning October 8, 2018, Mental Synthesis will be on display at the Second Exhibit at Famille from Falls Church Arts in Falls Church, VA.
Falls Church Arts and Famille are located at 700-B W. Broad St., Falls Church, VA 22046. 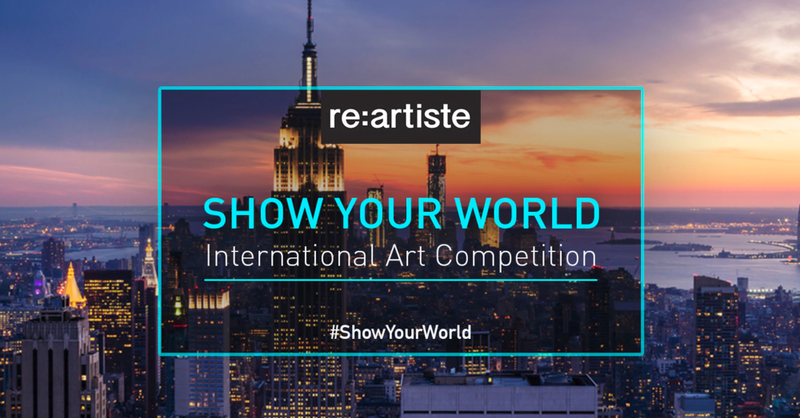 On September 28, 2018, an Opening Reception will be held at re:artiste, featuring Breaching Containment at the Show Your World 2018 juried exhibit in New York, NY. At Show Your World 2018, twenty artists were selected from a variety of international artist submissions, with the idea that art is a non-verbal language understood by those of all languages. Art conveys both historical and social facts, lifestyle, inspiration, and feelings: re:artiste has been creating a dialogue among artists from various cities and countries. In addition to the Opening Reception, the exhibit will be open during the regular hours of the re:artiste gallery. The re:artiste gallery is located at 545 W 52 St. - Gallery MC, New York, NY 10019. From September 27, 2018 through October 12, 2018, Breaching Containment will be on display at the Show Your World 2018 juried exhibit at re:artiste in New York, NY. An Opening Reception will be held on September 28, 2018. The exhibit will be open during the regular hours of the re:artiste gallery. From August 10, 2018 through September 3, 2018, multiple pieces will be on display as part of the Summer 2018 exhibit at the Contemporary Art Gallery at Red Brick Farm in Chautauqua, NY. The exhibit features The Carapace Condition, Sconce, Rising Above, Presence, Metacarpus, Ambition, Persistence (2018), and more. No tickets or RSVPs are necessary. All attendance is free of charge. Parking is available on-site. 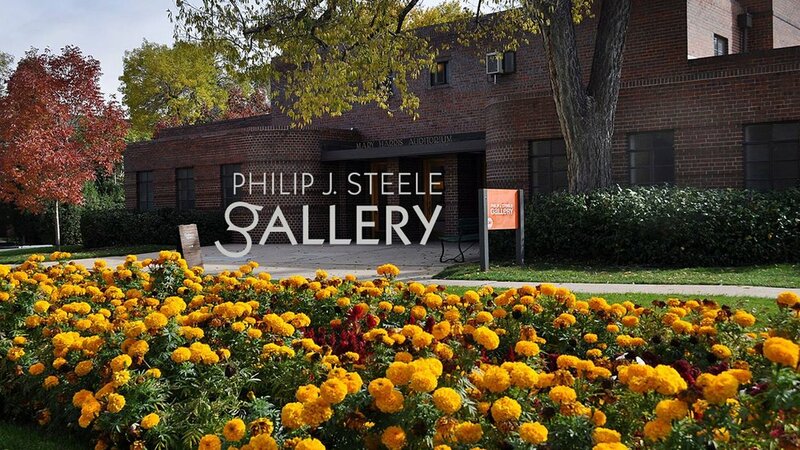 The gallery is open from 12pm through 5pm Tuesday through Sunday. The Contemporary Art Gallery at Red Brick Farm is located at 5031 W. Lake Road, Chautauqua, NY 14757. On July 14, 2018 from 7:30-10:00pm, an Opening Reception will be held for the ORGANICA exhibit at the Falls Church Arts Gallery, featuring Alternate Edge, Growing Stronger, and Anchor Reins. This exhibit features artwork inspired by or made with organic elements, across all media. From July 14, 2018 through August 19, 2018, Alternate Edge, Growing Stronger, and Anchor Reins will be on display at ORGANICA exhibit, located at the Falls Church Arts Gallery in Falls Church, VA.
An Opening Reception will be held on July 14 from 7:30-10:00pm. No tickets or RSVPs are necessary. All attendance is free of charge. Parking is available nearby. The exhibit will be open to all visitors during the regular hours of the Falls Church Arts Gallery. On July 1 from 3-5pm, Interruption Point will be featured as part of an Opening Reception for Fiber Options, a juried gallery exhibition from the Maryland Federation of Art at the Circle Gallery in Annapolis, MD. This fifth biennial competition explores two-dimensional and three-dimensional fine art created with fiber materials, with accepted art from artists across the United States. No tickets or RSVPs are necessary, for either the reception or the exhibit. All attendance is free of charge. The exhibit will be open to all visitors during the regular hours of the Circle Gallery. All of the exhibit's art is available for purchase, both online and at the exhibit. The Circle Gallery is located at 18 State Circle Annapolis, MD 21401. From June 21 to July 21, Interruption Point will be featured as part of Fiber Options, a juried exhibition from the Maryland Federation of Art at the Circle Gallery in Annapolis, MD. An Opening Reception will be held on July 1. On June 2, 2018 (beginning at 7:30pm), an Opening Reception will be held for the inaugural exhibit at Famille at Falls Church Arts, where Euphoria will be on display through July 8, 2018. From June 2, 2018 through July 8, 2018, Euphoria will be on display as part of the inaugural exhibit at Famille at Falls Church Arts. Attendance is free and open to all during the gallery's regular operating hours: 11am to 6pm Tuesday through Saturday and 1pm to 4pm Sundays. An Opening Reception will be held on June 2, 2018. On Sunday May 6, 2018 from 6pm to 7pm, Environmental Truth I and Tranquility will be offered at auction by the Fairfax County Democratic Committee at the Second Annual Jefferson Obama Dinner. Bidding will occur both in-person and online, with all proceeds benefiting the Committee. J'han will be present during the event and the dinner. Tickets for the reception, event, and dinner are required in advance for attendance. The Hilton McLean Tysons Corner is located at 7920 Jones Branch Drive, McLean, VA 22102. Interruption Point is featured in Transplanted, a juried exhibit from the School of Art at the University of Montana. On Saturday April 21, 2018 from 2pm through 4pm, there will be an Opening Reception for the exhibition featuring three of J'han's pieces -- Boundless Rose, Dream, and Anxiety -- as part of the "Spotlight on the Arts" festival in the City of Fairfax, Virginia. For the duration of the festival, these three pieces can be found as part of an exhibit at the Fairfax Art League's Old Town Hall Gallery, during the Gallery's regular operating hours. No tickets or RSVPs are necessary, for either the reception or the exhibition. All attendance is free of charge. The Old Town Hall Gallery is located on the second floor at 3999 University Drive, Fairfax, VA 22030. From Saturday April 21, 2018 through June 6, 2018, three of J'han's pieces -- Boundless Rose, Dream, and Anxiety -- will be featured as part of the "Spotlight on the Arts" festival in the City of Fairfax, Virginia. An Opening Reception will be held on April 21, 2018. On Saturday April 14, 2018 from 6pm to 9pm, there will be an Opening Reception for A Closer Look: Year One at the American University Museum at the Katzen Arts Center, where a number of J'han's pieces will be featured. Over the course of the evening, J'han's art will be on display and J'han, herself, will be present to discuss her artwork with any and all guests. A Closer Look: Year One is the end-of-year show for American University's first-year MFA Studio Art students. This exhibition places the best work of the year on display as a celebration of the past year's artistic accomplishments. Anchor Reins, Alternate Edge, Interruption Point, Ambivalent Reflections, Breaching Containment, and Pure Miscreation will all be featured as part of this exhibit. The exhibit will be open to the public during all regular Museum hours. No tickets or RSVPs are necessary. All attendance is free of charge. Parking is available on-site in the garage. The American University Museum at the Katzen Arts Center is located at 4400 Massachusetts Avenue Northwest, Washington, DC 20016. "Flight School: Master of Fine Arts at American University"
From April 10, 2018 through July 10, 2018, The Knot will be on display at the Flight School: Master of Fine Arts at American University exhibit, located in the Concourse D/E International Gallery of the Baltimore/Washington International Thurgood Marshall Airport (BWI). This exhibit is presented by the BWI Static Arts Committee, chaired by First Lady Yumi Hogan of Maryland, and in conducted in collaboration with American University of Washington, D.C. This collection captures the visions of the young artists of American University as they begin a journey of individual expression in many different media. The Static Arts Program is comprised of permanent and loaned art pieces created by residents and visiting university students throughout the Baltimore Washington Metropolitan region. Every piece of art is an invitation by the artist to join them on a journey of mutual discovery. The BWI Marshall Static Arts Program goal is to improve customer service and stakeholder relations by enhancing our customers’ travel experience. No tickets or RSVPs are necessary. All attendance is free of charge. Parking is available on-site in the garage. The exhibit will be open to all visitors during the regular hours of the Concourse D/E International Gallery. The Baltimore/Washington International Thurgood Marshall Airport (BWI) is located at 7035 Elm Road, Baltimore, MD 21240. "A Closer Look: Year One"
From April 3, 2018 through April 25, 2018 a number of J'han's pieces will be featured as part of A Closer Look: Year One at the American University Museum at the Katzen Arts Center, the end-of-year show for American University's first-year MFA Studio Art students. This exhibition places the best work of the year on display as a celebration of the past year's artistic accomplishments. An Opening Reception will be held on April 14, 2018. On Saturday November 11, 2017 from 6pm to 9pm, J'han will be participating in an Open Studios Night at American University. On September 22, 2017 from 7pm to 10pm, Divide, Persistence, and Storm will be offered at auction at the Blue Arlington Committee's An Evening With The Arts. The evening is a fundraiser for the campaigns of Erik Gutshall for the Arlington County Board and Monique O’Grady for the Arlington County School Board, with both a silent auction and a reception. J'han will be present for at least a portion of the evening. More about the event can be found on the Blue Arlington Committee's website. Tickets for the event can also be purchased online. The event is located at the Lyon Park Community House: 414 N Fillmore St., Arlington, VA 22201. On April 6, 2017, J'han will be exhibiting Anxiety, Dream, and Memory at the Pancakes and Booze Art Show in Washington, D.C. from 7pm to roughly midnight. More details are available on the event's Facebook page. From March 1, 2017 through March 31, 2017, Anxiety has been selected as a Special Merit painting for the 8th Annual "Abstracts" Juried Exhibition from Light Space & Time. Anxiety can also be found in the Special Merit video for this Exhibition, beginning at 01:59. From December 10, 2016 through January 14, 2017, Dance is on display at the Workhouse Arts Center Faculty Exhibition for Fall 2016, accessible Wednesday through Saturday from 11am to 6pm and Sunday from 12 to 5pm. The Workhouse Arts Center is located at 9518 Workhouse Rd, Lorton, VA 22079, US. From February 25, 2015 through March 25, 2015, Cthulhu is on display at the Rocky Mountain College of Art + Design's (RMCAD) 53rd Annual Student Exhibition -- a juried exhibition located in Denver, CO -- in the Philip J. Steele Gallery. Rocky Mountain College of Art + Design (RMCAD) Phillip J. Steele Gallery is located at 1600 Pierce St., Denver, CO 80214, US. From January 4, 2016 through April 4, 2016, Beginning, Jazzstract II, Suspended, Phobia, Rio, Heartthrob, and Tigereye are on display in the Arlington County Board Offices. For the duration of the exhibit, the pieces are visible to the public during standard government operating hours. All pieces exhibited are for sale via the The Gallery Underground/Arlington Artists Alliance, at 571-483-0652. The Arlington County Board Offices are located at 2100 Clarendon Blvd, Suite 300, Arlington, VA 22201, US. Live art demonstration of advanced techniques with the charcoal medium. The Workhouse Arts Center is located at 9601 Ox Rd., Lorton, VA 22079, US.